No tricks or fancy editing in this video. 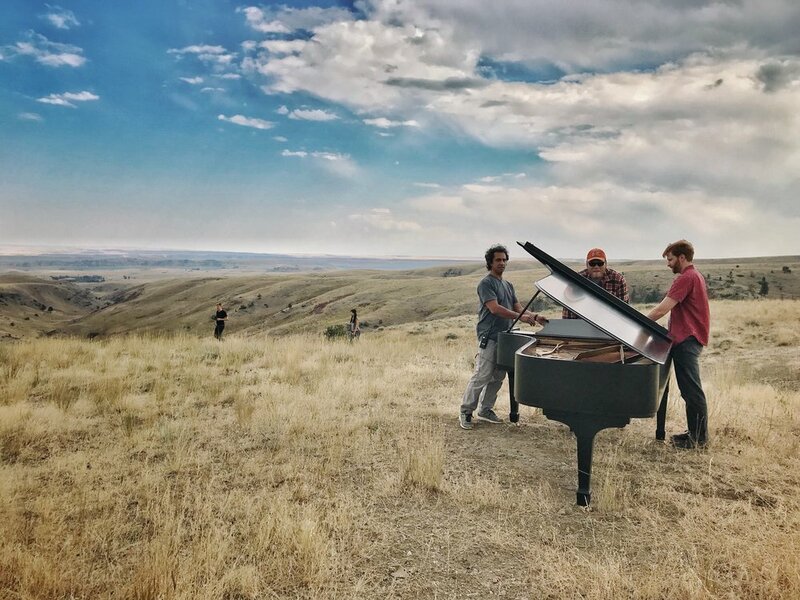 Our intention from the outset was to highlight the natural beauty of the film’s two BIG stars: the “Beartooth Portal” at the Tippet Rise Art Center and our piano/four-hand arrangement of Louis Armstrong’s classic song. “What a Wonderful World” is sweetly tender and full of wonder, and its opening melody is famously is based on another classic song… you guessed it: “Twinkle, Twinkle, Little Star.” As a nod to the flowers described in the song's lyrics, our arrangement includes brief allusions to "Lilacs" by Sergei Rachmaninoff. 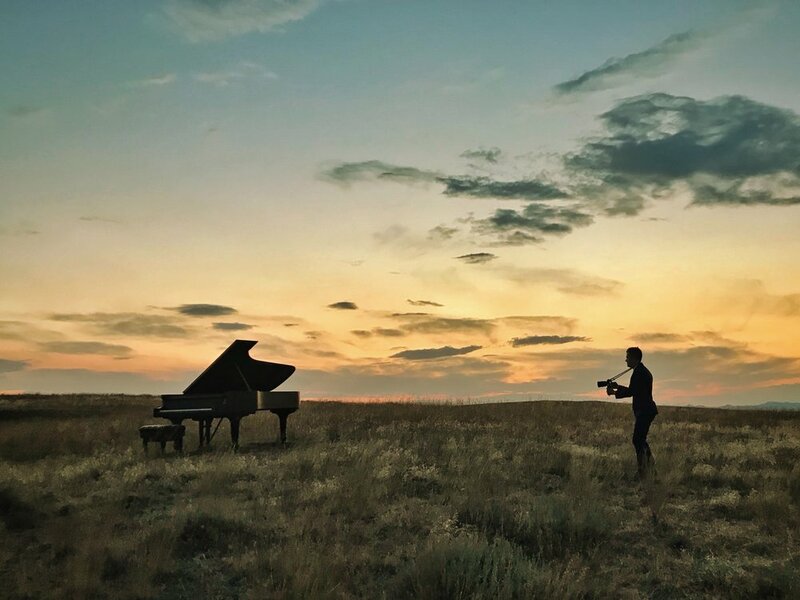 From the charming chirping of the native birds to the striking landscape and impressive skies, we knew instantly that the Tippet Rise mountainside was the perfect location to film a video proclaiming the wonders of the world. 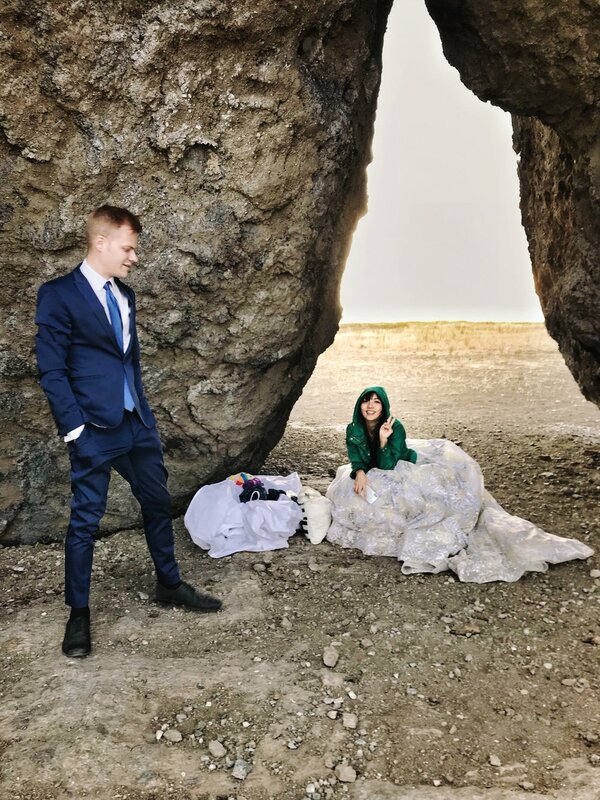 We adore the juxtaposition of the man-made elements (Ensamble Studio’s stunning, sky-high sculpture; a sleek Steinway Model D; and Liz’s outrageous gown 😍) against Montana’s rugged, rolling hills. To top it off, the sun arrived on set as if on cue, adding yet another dramatic, natural element. Lose yourself in the timeless beauty of “What a Wonderful World,” and enjoy a few behind-the-scenes pics below.